No more fussing with Lightning, USB-C, and Micro-USB connector types! As convenience goes, wireless charging can’t be beat. You simply drop your phone onto the charger and walk away. Gone is the headache of managing cables that inevitably break or get lost. Until recently, the main drawback to wireless chargers has been slow adoption and slow charging. This style of charging is still not ubiquitous, but you can now find Samsung, LG, Sony, and Moto phones that support it on the Android side, and Apple has adopted it for its iPhone lineup as well. And the technology itself is finally reaching a point where its speed is easier to live with, too. Now that it’s a good time to go out and grab a stand or pad, we’ve tested some of the most popular models out there for both Android and iPhone, and discovered our favorites among the bunch. Read on for our findings, and check back periodically for our latest updates. 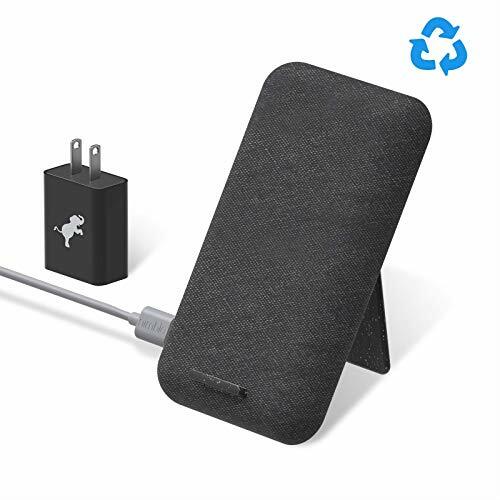 Upadated 2/7/19 to include our review of the RAVPower Alpha Series Fast Charge Wireless Charging Pad, a basic, affordable wireless charger that also includes a 24W wall adapter plug for faster charging. Scroll to the bottom of this article to see all of our charger reviews. The Anker PowerWave 7.5 Stand wireless charger amply makes up for its lone downside—a loud fan—with speed and a sturdy design. Anker’s PowerWave 7.5 Stand is our current top pick. It charges faster on Android than any other pad we tested, looks nice, and has a stand that makes checking notifications very easy. A cooling fan in the base can be loud in a quiet environment, but it’s not a deal breaker—just something to keep in mind. The Nimble Stand is a wireless charger that quickly charges your phone and attempts to help the environment. Until recently, there were two different wireless charging standards that you had to be aware of when purchasing a wireless charging pad: the Power Matters Alliance (PMA) standard, and the Wireless Power Consortium’s Qi standard. Powermat has since agreed to join the WPC and embrace the Qi standard. (We’ve noted in our individual wireless charger reviews if it supports the PMA standard, in case you have an older Android device that only supports PMA.) Now you only have one factor to consider when choosing a wireless charging pad: Does it support fast charging? As technology has evolved, so too has the speed at which a phone can wirelessly charge. You will need to check the speed at which your phone can wirelessly charge, which is usually given in terms of 7.5 watts (W), 9W, or even 15W. Sometimes software plays a part in the speed. For example, an iPhone 8, 8 Plus, or X running iOS 11.2 or later charges at 7.5W, while any of the same iPhones running iOS 11.1 charges at 5W. The packaging for most wireless chargers will indicate its speed. Look for the wattage speed on the box or in the specification listing for a charger, then compare that with the speed at which your phone can charge. Do keep in mind that as fast as wireless chargers have become, the included charger for most phones will be your best bet when you’re in a hurry and need as fast a charge as possible. In order to properly test and measure how long a wireless charger takes to charge a smartphone from 0 to 100 percent, we followed the steps below each time we placed a phone on the charging pad. For the initial round of tests, we used an unlocked Samsung Galaxy S9. We enabled airplane mode on the Galaxy S9 to prevent notifications or connections from impacting battery life throughout each test. To completely drain the battery on the Galaxy S9, we looped a movie in VLC with screen brightness set to 100 percent until the phone powered off. If a wireless charger included its own power supply, we used it. If not, we used Samsung’s standard wall adapter and an appropriate cable. The phone was placed on a wireless charging pad, and a timer was set for four minutes (the minimum time required to bring the phone back to life across all the pads we tested). After four minutes, the phone was powered on and unlocked. A time-lapse video was recorded of each charging session using a Wyze Cam, with a photo captured every 60 seconds. Charge time was calculated by looking at the video and noting the time when the always-on-display of the Galaxy S9 would register 100%. We repeated the test three times for each wireless charger, then averaged the results. We enabled airplane mode on the iPhone X in order to prevent any unnecessary notifications or connections from impacting battery life throughout the test. Using VLC and a display brightness set to 100%, we completely drained the battery until the iPhone X powered off. If a wireless charger included its own power supply, we used it. If not, we used Samsung’s standard wall adapter and appropriate cable. The phone was then placed on a wireless charging pad, and a timer was set for 7 minutes (the minimum time required to bring the phone back to life across all the pads we tested). At the 7 minute mark, the iPhone would be unlocked and then placed back on the charging pad. A new timer was set for 60 minutes. After the 60 minute timer expired, the phone was removed from the pad and the battery percentage was recorded. We repeated this process three times for each charging pad and averaged the results. For an approximate ballpark of how long it’ll take to reach full charge with an iPhone, you can divide 60 (the number of minutes used for this test) by the percentage result listed in each review. So if the result is an average charge of 36 percent in 60 minutes, the soonest that a full charge will take is roughly 167 minutes, or 2 hours and 47 minutes. Keep in mind that this is an imprecise estimate: We say “approximate” because it’s possible for charging to slow down during a full charge. Curious about the other options out there? 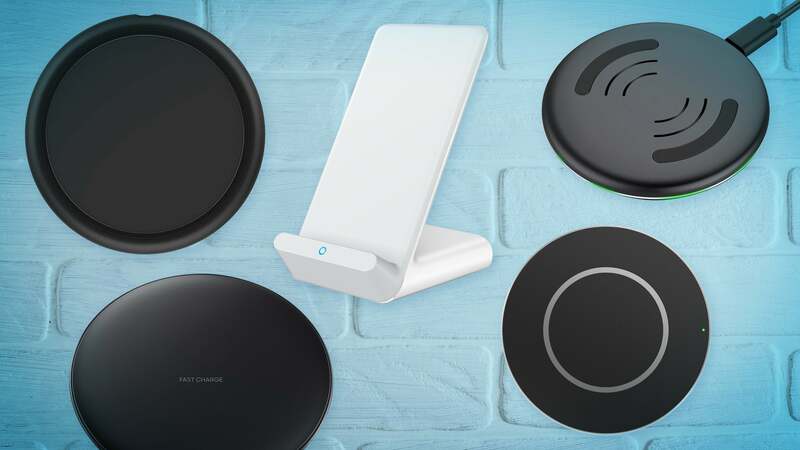 Below is a list of all the wireless chargers we’ve reviewed. We’ll keep evaluating new ones on a regular basis, so be sure to come back to see what else we’ve tested. Editor’s note, 9/17/2018: The original version of this article incorrectly stated that Powermat owns the PMA standard. We regret the error. The fabric-clad iOttie iON Wireless Stand not only looks stylish, but it's also speedy, particularly with iPhones. The RAVPower wireless charging pad is a plain, black, hockey puck, but it gets the job done and comes with a 24W wall adapter at an affordable price. Samsung devotees will get the most out of this $69 wireless charger, but cheaper, higher-performing options exist. At $60, we would like to see faster performance from the Mophie Charge Stream Pad+, but its build quality is nice. If you want an inexpensive wireless charger that does what it’s designed to do (albeit slower than some of its competition), you don’t need to look further than the Yootech Wireless Charger. At $60, the Belkin BoostUp Wireless Charging Pad for Samsung is far too expensive for the performance you get from it.